Pleasanton, California — Feb. 27, 2019 — NextHome was recently named the No. 4 top franchise in 2019 by Franchise Business Review, out of 310 of the country’s top franchise brands. It is the latest accomplishment for the progressive real estate franchise, which is known for consumer-focused branding, technology and marketing that empower its brokers and agents to provide superior service without compromise. Franchise Business Review, a franchise market research firm that performs independent surveys of franchisee satisfaction, provides the only rankings and awards based solely on actual franchisee satisfaction and performance. Franchise Business Review announced the new rankings during the International Franchise Association’s Annual Convention where NextHome’s official position, ranking fourth in the country, was revealed. Founded in 2014, NextHome has been committed to changing the way consumers work with local agents and adapting to the modern real estate landscape to meet the everchanging needs of agents and clients altogether. The company is among 310 franchise brands, representing over 30,000 owners, that participated in Franchise Business Review’s research. Franchisees of each brand were surveyed on 33 benchmark questions about their experience and satisfaction regarding critical areas of their franchise systems, including training and support, operations, franchisor/franchisee relations, and financial opportunity. Pleasanton, CA — February 7, 2019 — NextHome is proud to announce our newest addition to the franchise, NextHome Preferred. The brokerage represents the very first office location opened in the state of Delaware for the NextHome franchise. The brokerage will be led by broker/owner Bobbi Slagle. She and her administrative team will handle all day-to-day operations for the company. The team at NextHome Preferred will handle all types of residential property sales such as first-time home buyers, investors, military and veteran services, land, relocation, foreclosures, short sales, and all forms of residential sales of 1-4 units. Located in central Delaware, the Dover-based NextHome Preferred brokerage is located within a 90-minute drive of most major cities in the region such as Philadelphia, Baltimore and Atlantic City. Dover is the capital of Delaware and is the second largest city in the state, with nearly 40,000 residents. The brokerage will service various areas throughout Central Delaware including all of Kent County, which encompasses the cities of Dover, Magnolia, Harrington, Milford, Camden, Bowers Beach, Clayton, Farmington, Felton, Smyrna, Hartly, Houston, as well as parts of the bordering counties of New Castle and Sussex. Dover is home to the Dover International Speedway where various NASCAR events are held yearly. Additionally, the Dover Air Force Base is one of the most heavily used military bases on the Northern East Coast and a large part of the community of Kent County. A REALTOR® since 2004, Bobbi started her career in Dover with a large nationally franchised office for the first three years. Doing very well, she moved on to the boutique firm, First Class Properties, where she used the company’s innovation and community commitment to further advance her personal business. In 2009, Bobbi attained her broker’s license and was promoted to be the broker/manager for the 15-agent brokerage from 2011 until 2016. Even though she led the company as the broker and office manager, Bobbi was still able to sell real estate at a high level. From 2007 on, Bobbi has ranked in the top 10% of all REALTORS® in Kent County. In January 2016, when the local Brokerage affiliated with a franchise, Bobbi felt the need to make a move to RE/MAX Horizons in Dover to free up some time to focus more on her family and lead a small team. In the two years at the company, Bobbi increased her personal sales to more than 30 transactions a year and grew her property management business, 5 Star Property Management, as well. After a lot of discussion and research, Bobbi found NextHome by accident. Bobbi loved the clean branding, the standardization of marketing, the high-level technology, and the professionalism the company created and maintained. Bobbi has spent years perfecting her craft through education and certifications. She has earned accreditations such as Real Estate Negotiation Expert (RENE), the Military Residential Specialist (MilRES), and the Military Relocation Professional Designation to name just a few. She has also made a commitment to volunteering in her local real estate board as not only a member of the Board of Directors but she’s served on the Kent County Association of REALTORS® (KCAR) Professional Standards Committee, the Education Committee, the TREND MLS Board of Directors and in 2018, Bobbi was awarded the REALTOR® of the Year. Bobbi and her husband Charles have been married for 15 years. Between the two of them, they have three children – daughters Amber (19 years old) and Madison (15) and son Wesley (18). The family loves to travel and recently took a trip to Costa Rica and Jamaica. Please join us in congratulating Bobbi and the rest of the team at NextHome Preferred on their new NextHome office in Dover, DE! Pleasanton, CA — December 29, 2018 — NextHome is proud to announce our newest addition to the franchise, NextHome My Way – Longwood Branch. The brokerage represents the 52nd location opened in the state of Florida for the NextHome franchise. Based in Longwood, the company will be owned and operated by business partners Pedro Rivera and Angel Pabon. The top-producing REALTORS® will each have specific roles within the company. Rivera will serve as the CEO and handle the day-to-day operations for the company, while Pabon will handle transaction supervision as the Broker of Record and work on company growth and talent acquisition. The brokerage will provide real estate services such as single-family residential sales, first-time home buyers, investment, luxury, condos, relocation, land deals, and military/veteran services to the areas of Longwood and the surrounding Orlando Metropolitan Area. With an already successful NextHome My Way location in Milwaukee, Wisconsin, Pabon’s relocation to Florida opened the door for a branch location. “When we started NextHome My Way in Milwaukee in March 2018, we expected a great result, but never could have expected what actually happened,” said Rivera. What happened was that the team at NextHome My Way went from selling 71 transactions in 2017 to more than 130 transaction sides in 2018. Rivera credits the increase in business to the commitment to growth and education by the company’s 11 agents. “We are fortunate to have agents who are career oriented and committed to being the very best representatives for their clients,” he added. The business partners met through collaboration in previous business dealings. Even though Pabon has been licensed since 2015 and Rivera since 2016, they have quickly excelled in real estate due to their vast business knowledge from their previous careers. Rivera has an extensive background in the IT field, specializing in marketing and graphic design. Pabon worked for many years as a promoter and high-level representation for musical artists. Both men worked at Shorewest Realtors in Wauwatosa, WI. During that time, they both sold a lot of real estate with Pabon selling an incredible 50 transactions in his first year. The high volume of sales earned Pabon the award for Rookie of the Year for the company. With a well-rounded team using expert marketing, online advertising and local connections, Pabon and Rivera felt 2018 was the right time to go out on their own and open their own brokerage. When not selling real estate, both men focus on spending time with their families. Rivera and his fiancé, Jexayra, have four children aged 10 months to 8 years. He enjoys cooking and being a father. Pabon and his wife, Esther, also have four children – ages 10 to 17. Pabon describes himself as an admitted workaholic, but never at the expense of being there for the family. Please join us in congratulating Pedro, Angel, and the rest of the team at NextHome My Way on the opening of their brand new NextHome office in Longwood, FL! Pleasanton, CA — October 26, 2018 — NextHome is proud to announce our newest addition to the franchise, NextHome Arrowsmith Realty. The brokerage represents the 47th location opened in the state of Florida for the NextHome franchise. NextHome Arrowsmith Realty will be owned and operated by broker and top-producing REALTOR® Natalie Arrowsmith. As a fourth generation Apopkan, Natalie is proud to bring the NextHome franchise to her community. Her father, Bill Arrowsmith, served as the Vice Mayor for the city for decades. Natalie is proud to continue service to the Apopka community for the Arrowsmith family. The brokerage will provide real estate services such as single family residential sales, first-time home buyers, rehab and resale property listings, investment sales, commercial, second home and vacation home purchases, and land sales for buyers and sellers for the cities of Apopka, Altamonte Springs, Maitland, Ocoee, Winter Garden, Mount Dora, and the rest of Lake, Seminole and Orange Counties. Located 15 northwest of Downtown Orlando, Apopka is home to approximately 42,000 residents. Considered part of the Orlando-Kissimmee-Sanford metropolitan area, Apopka is in the heart of a 2.1 million resident metro area. Before real estate, Natalie worked for several years at the Florida League of Cities, an organization focused on promoting local self-government. From 1999-2004, Natalie served several roles within the organization, with her primary role as the Policy Holder Relations Manager. In late 2004, Natalie moved to North Carolina and started her real estate career with Century 21 Real Estate in the city of Waynesville. At that time, many Floridians were purchasing investment properties in North Carolina and Natalie was able to represent many of these investors. After several very successful years selling in North Carolina, Natalie moved back to Apopka and worked at RE/MAX from 2008 until 2010. During those three years, she grew her business with traditional sales and the addition of foreclosure/short sales to see more than 100 transaction sides closed annually – making her one of the top agents in her area. In 2010, Natalie opened her own brokerage – Arrowsmith Realty. Knowing the increase in her business and the needs of her clients, she took it upon herself to open a brokerage that would provide the level of service her clients had come to expect. Under Natalie’s leadership, she grew the company to 11 agents. While not originally looking to franchise her office, Natalie’s desire to always provide world-class service led her to look at NextHome. Introduced to NextHome in 2017 by friend and NextHome franchisee, Paige Brewer, Natalie was interested in the company because of the fresh branding and the fun, forward-thinking way of doing business. Natalie gives back to the real estate industry as well. She is the 2018 Secretary for the Orlando Regional REALTOR® Association and will serve as Treasurer in 2019. She has been on the Board of Directions for her local association for the past four years. Through her involvement in the Women’s Council of REALTORS® for the past five years, Natalie has made a real impact on the Florida real estate community. At the national level, she will serve as NAR Director in 2019. When not selling real estate, Natalie is all about family. She and her fiancée, Mark, are getting married May 2019. Between them, they have four children – sons Cody (28) and Luke (9); and daughters Cassidy (22) and Lily (7). She also has a granddaughter, one-year-old Ava Rose. Please join us in congratulating Natalie and the rest of the team at NextHome Arrowsmith Realty on the opening of their new NextHome office in Apopka, FL! Pleasanton, CA — October 16, 2018 — NextHome is proud to announce our newest addition to the franchise, NextHome Central Realty. The brokerage represents the 47th location opened in the state of Florida for the NextHome franchise. NextHome Central Realty will be owned and operated by top-producing REALTOR®/Broker Roger Michaels. The brokerage of nine agents will be based out of Lake Mary, which is located 20 minutes north of Orlando. The brokerage will provide real estate services such as single-family residential sales, first-time home buyers, rehab and resale property listings, investment sales, and land sales for buyers and sellers for the areas of Lake Mary, Sanford, Winter Springs, Winter Park, Longwood, Oviedo, and the rest of the Greater Orlando Area. Roger started real estate in 2012 after years of owning a car dealership with his brother. As part owner of Michael’s Autos, Roger was in charge of all sales and marketing for the dealership. The strong internet marketing and lead generation skills he learned through car sales have been a great advantage for Roger in the real estate marketing world. In his first year in real estate, Roger sold 25 transactions and his business only got stronger year-over-year. In 2015, he opened R Michaels Realty and used his online marketing savvy to grow his sales numbers. From 2015 to 2017, Roger grew his business over 25% annually to more than 40 transaction sides. In 2018, he has built his business to be on pace to close more than 60 transaction sides. Earlier this year, Roger was looking for a solution that allowed him to grow his boutique brand to one that would attract quality agents to work alongside him. By not having to reinvent the wheel, combining his brokerage strengths with NextHome’s franchise platform has proven to be a great match for everyone involved. “Having NextHome’s high-level of technology in addition to our brokerage’s strong internet lead generation, I’m really excited about what NextHome Central Realty is poised to do for our community,” said Roger. When not selling real estate, Roger and his wife of 17 years, Rachele, are raising two boys – Gavin (age 15) and Gabriel (age 12). The family loves to travel and often takes trips to visit the boys’ grandparents in Indiana. Please join us in congratulating Roger and the rest of the team at NextHome Central Realty on the opening of their new NextHome office in Lake Mary, FL! Pleasanton, CA — October 11, 2018 — NextHome is proud to announce our two newest additions to the franchise, NextHome Grand (Mesa) and NextHome Grand (Grand Junction). The brokerages represent the 10th and 11th locations opened in the state of Colorado for the NextHome franchise. The two brokerages will be owned and operated by business partners Nathalie Ames, Eileen Turner and Ross Beede. All three partners have been top-producing agents in their markets and will each have specific roles within the company. Nathalie will be the managing broker for both locations with Ross and Eileen switching off as the managing broker in 2019 and 2020. This strategy will allow each owner to focus on their personal business while the acting managing broker can focus on growing the company and providing guidance for agents at the company. NextHome Grand’s two locations will provide real estate services such as single-family residential sales, first-time home buyers, luxury homes, farm and ranch properties, rehab and resale property listings, investment sales, and land sales for buyers and sellers. The offices will service Grand Junction, Fruita, Palisade, Loma, Mack, Clifton, De Beque, Mesa, Molina, Collbran, Parachute, Rifle, Silt, Glenwood Springs, and the remainder of Mesa County. With a combined experience of more than 40 years in the real estate industry, Ross and Eileen have been a top-producing team since 2015. Working with buyers and sellers in addition to projects such as real estate developments and investment properties, The Turner/Beede Team sold more than 90 transactions in 2017. A third-generation REALTOR®, Nathalie started her real estate career in 1996 in Chicago, Illinois. For nearly 20 years, Nathalie sold an average of $13 million annually and was one of the top-producing agents in the area. When she relocated to Mesa, Colorado, she picked up right where she left off, selling real estate at a high level. In 2017, Nathalie sold 27 homes to the tune of $11 million in volume. 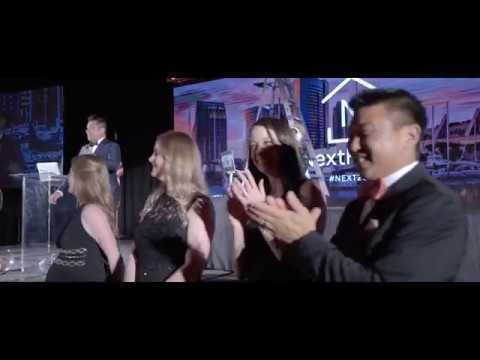 Nathalie was introduced to NextHome in January 2018 and came to the NextHome Conference held in San Diego, California in March 2018. When it came time to consider opening a NextHome office, the business partners were no strangers to owning their own companies. Ross opened his own real estate brokerage, Grand Junction Real Source, in 2001. As the broker/owner of that office, he grew the company to nearly 30 agents. He merged the office with a nationally franchised office in 2008 and stayed on as the manager for the office for the next four years. Not only is Nathalie a top-producing agent, but she is also the owner of Blink Coffee Company, a success full-service coffee shop, bar and restaurant. When Eileen and Ross joined Nathalie at NextHome’s corporate office for a week of training classes for new franchisees, they had a similar experience. Please join us in congratulating Nathalie, Eileen, Ross and the rest of the team at NextHome Grand on the opening of their two new NextHome offices in Grand Junction and Mesa, CO! Pleasanton, CA — September 28, 2018 — NextHome is proud to announce our newest addition to the franchise, NextHome Moves. The brokerage represents the eighth location opened in Tennessee for the NextHome franchise. The company will be owned and operated by real estate broker and top-selling REALTOR® Kerri Woodson. Kerri will handle all day-to-day operations and will serve as the principal broker for the company. She will be joined on the leadership team by her husband, Gordon. With over 20 years of experience as a contractor, Gordon will bring his knowledge of construction and housing development to the firm. He will also handle all technology support and web development for NextHome Moves. Based in Clarksville, NextHome Moves will provide real estate services such as single-family residential sales, first-time home buyers, multi-family, new construction, land purchase and acquisition, and veteran relocation services in Clarksville, Springfield, Pleasant View, and the remainder of Cheatham, Robertson and Montgomery counties. Clarksville is the fifth largest city in the state of Tennessee. With a population of just over 150,000, Clarksville is located 40 minutes northwest of Nashville near the Tennessee/Kentucky state border line. Kerri started her real estate career in 2010 with a local Prudential Realty in Clarksville. Doing well in selling homes for the first three years as a REALTOR®, Kerri made the move to Coldwell Banker Real Estate. In 2016, Kerri was introduced to the NextHome franchise at about the same time she opened her own real estate brokerage. That year, she opened Millwood Real Estate and focused on creating a company that would help agents bring real value to their clients. Although she stayed in contact with NextHome’s Vice President of Sales, Charis Moreno, Kerri felt right about staying as an independent brokerage at that time. Gordon’s construction business, Woodson Construction, brought a unique advantage to the company as well. As a contractor who built as many as 15 homes a year, Gordon created inventory for Millwood Real Estate to list and sell. Having this inventory to sell gave the agents at the brokerage a significant advantage with these newly constructed homes available for them to hold open houses and draw in potential buyers. In 2018, Kerri felt it was time to grow the brokerage and decided to open up discussions again with Charis. Kerri describes the NextHome Moves difference as a company with great culture and an atmosphere of learning to be great businessmen and businesswomen. The brokerage will also create and maintain standards and systems that will make the agents successful. Kerri and Gordon have been married for 25 years and have two children. Their oldest son, Colton (age 18), is attending college in St. Louis, Missouri at Maryville University and is in the MBA program of Sports Business Management. Their youngest son, Brody (age 16), is a high school junior who plays for the school’s football team. Please join us in congratulating Kerri, Gordon and the rest of the team at NextHome Moves on the opening of their brand new NextHome office in Clarksville, TN! Pleasanton, CA — September 26, 2018 — NextHome is proud to announce our newest addition to the franchise, NextHome All American. The brokerage represents the 47th location opened in Florida for the NextHome franchise. Based in DeBary, NextHome All American will provide real estate services such as single-family residential sales, first-time home buyers, multi-family, land, new construction, condos, second homes, vacation homes, retiree services, and veteran relocation services in DeBary, Daytona Beach, New Smyrna Beach, DeLand, Orange City, Deltona, Osteen, Sanford, Lake Mary, Longwood, and the remainder of North Orlando Area. DeBary is a suburb community located 20 miles north of Orlando. Home to nearly 20,000 residents, DeBary is part of the Deltona-Daytona Beach-Ormond Beach Metropolitan Area. Please join us in congratulating Teresa, Codie and the rest of the team at NextHome All American on the opening of their brand new NextHome office in DeBary, FL!